Now I know we all like to tear the roof off the sucker and give up the funk, but sometimes it’s good to have your experimental squalls and skronk delivered in quieter doses. Hooray for this pair of releases, then, which you can play to your heart’s content without disturbing the neighbours. 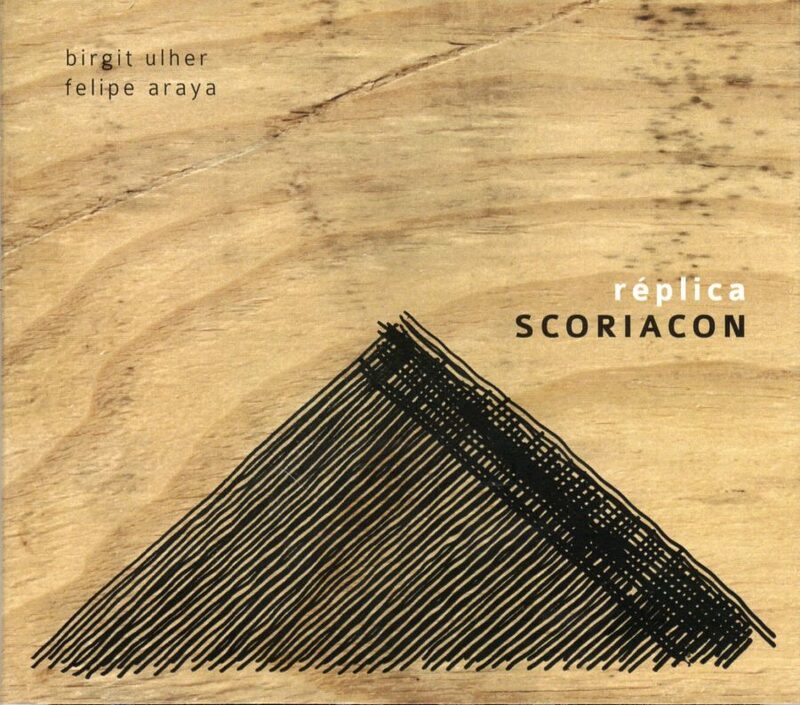 I think this is probably literally the case with the first release, from our old friend Birgit Ulher and Chilean percussionist Felipe Araya, operating under the name Réplica. Here we have six tracks of improvisation for trumpet and Peruvian cajón, with various radio embellishments. These were all recorded in Birgit’s apartment, and I can’t for one moment imagine that the people downstairs were banging on the ceiling telling them to keep it down. The cajón, in case you wondered, is a box shaped percussion instrument, usually played by slapping the fronts and sides. Araya takes a different approach – “he rubs, strikes, strokes, scrapes, swipes, slides, drops, stirs and excites different objects and materials”, according to the publicity material, producing an almost subliminal bed of percussion for Ulher’s singular, implosive trumpet style. This is one of those happy occasions where the album art perfectly complements the music contained within, from the pattern of wood-grain and deeply etched lines on the cover, to the inside shot of a mysterious orange cube (possibly the cajón itself) on a desolate plain of black volcanic sand and tough, wiry looking shrubs. This all suggests something parched and gritty and granular and gouged-out, and that’s exactly how it sounds. 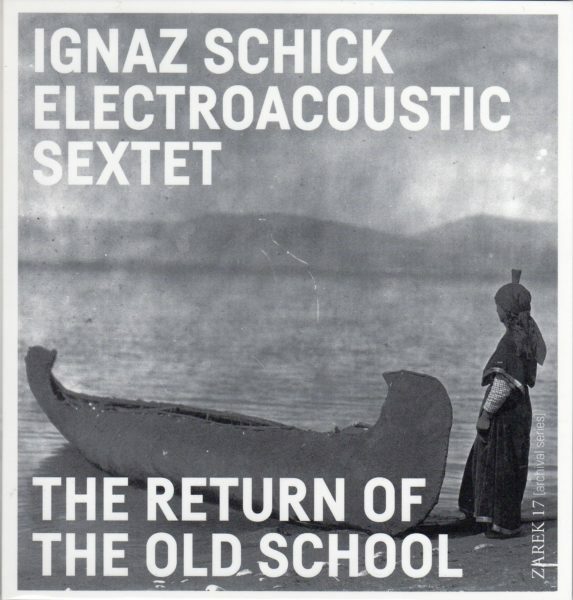 Next up, proving that there’s no school like the old school, the Ignaz Schick Electroacoustic Sextet. With a band name like that, you’d expect them to produce something hellzapoppin’, and they kind of do, in their own way. Here we are treated to two long tracks, apparently recorded live at Radialsystem V, Berlin, during the A L’ARME! Festival 2013, although there’s nothing to suggest the presence of an audience. Slade Alive! this is not. Instead, we have ghostly trombone and alto sax jazz lines, floating like wraiths through forests of electronics and tape noise (mastered by hardest working man in showbiz Werner Dafeldecker – when does this guy find time to sleep? ), with abstract splashes of percussion daubed underneath. Sometimes it rises, sometimes it falls, but the overall atmosphere is one of hushed concentration. If you listen to these albums in the car, or on headphones whilst out walking, you may find that the sounds of the outside world intrude and exert a strange influence upon the music in a unique, never-to-be-repeated way. Thus, the sounds of Kwik-Fit tyre fitters mixed themselves into the Ignaz Schick album whilst I was waiting at traffic lights, and seemed quite at home there. The writer Gareth Rees calls this process soundchronicity, and these two albums are of the perfect volume and type for this kind of sonic experiment.